Dominica in 3rd place in USA Today's Best Caribbean Island contest. Discover Dominica Authority (DDA) has announced that Dominica was awarded third place in the Best Caribbean Islands competition organized by USA Today. "After four weeks of voting, the top 10 winners are as follows: Puerto Rico, Curacao, Dominica, St Martin / Saint Maarten, Grenada, Barbados, Bonaire, St John (USVI), Tobago and Anguilla," the TopTen website stated. 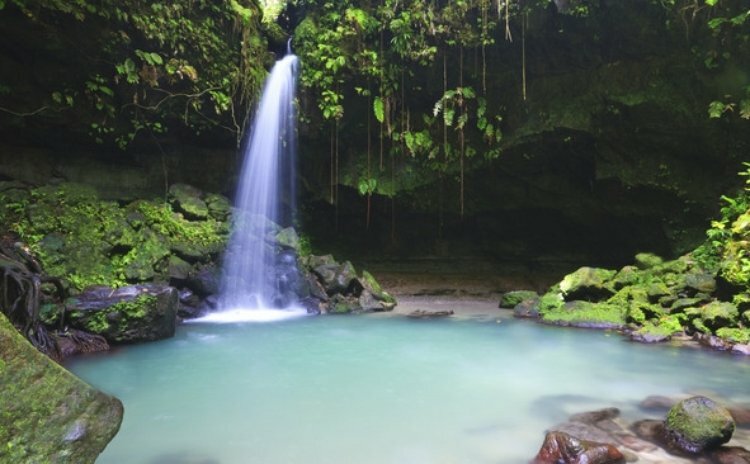 According to TopTen, "on mountainous Dominica, it's what lies inland that makes the island special. Two-thirds of Dominica's original rainforest remains, as well as one of the few surviving groups of Carib Indians. The island's volcanic roots remain very evident, whether on a hike to one of the biggest boiling lakes on the planet or while exploring underwater volcanic vents". In its quest to reach 90,000 stay-over visitors, the DDA says it encouraged fans and citizens of the Nature Island to vote for Dominica during the four-week contest. The contest ended on Monday January 6th2014, and the winners were published on Wednesday January 8th 2014.